Olympic Gold medallist: 'I had to say "thank you" to God for the gift I was given'. 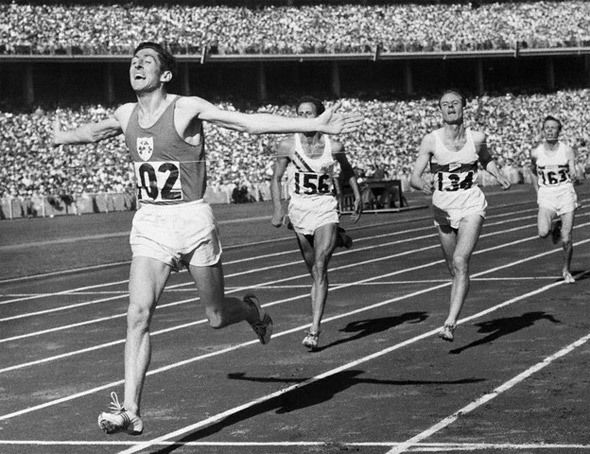 My mother wasn't particularly into sports but I remember her running up the stairs early on Saturday 1 December 1956 to wake up my brother and me with the great news that Ronnie Delany had won the 1500 metres in the Melbourne Olympics. I was 13 then, eight years younger than the Gold medallist. He has been a hero of mine ever since and last November I met him for the first time at the annual dinner of the past pupils' union of O'Connell Christian Brothers' School in Dublin where Ronnie had done the first three years of his secondary education. When I told him that he had been a hero to me down through the years he expressed a simple delight that for me is the mark of true humility.